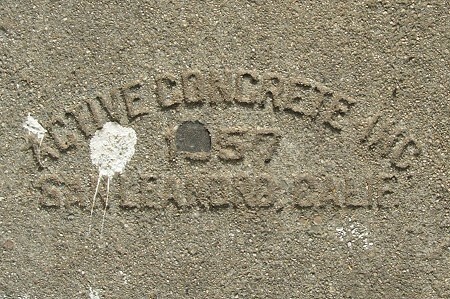 1957 – Active Concrete Inc. I love this mark for some reason. Maybe it’s just the thrill of continuing to discover new makers even after covering most of this city. This entry was posted on 12 February 2015 at 12:03 am and is filed under 1957. You can follow any responses to this entry through the RSS 2.0 feed. You can skip to the end and leave a response. Pinging is currently not allowed.